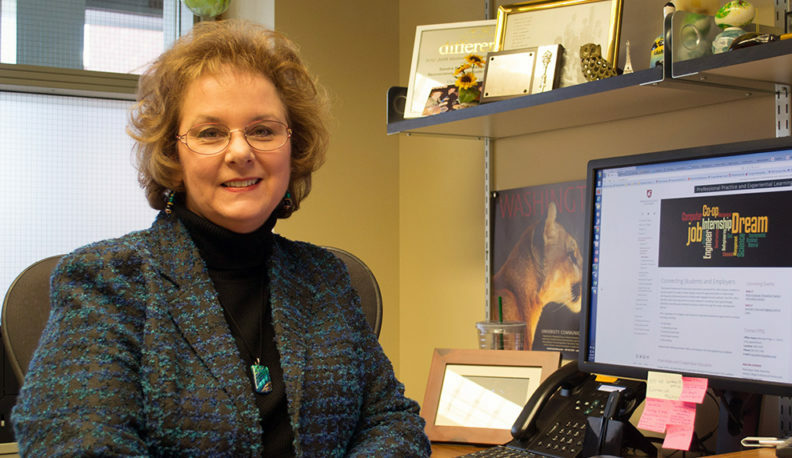 From Amazon to Zillow, chances are Sandi Brabb has helped a WSU student get employment at one of the nation’s leading companies. We recently spoke with Brabb, the director of Voiland College’s Professional Practice and Experiential Learning program, to learn the ways students can get a jump on their careers before they graduate. Sandi, tell us about the career services available to Voiland College students. Voiland College’s Career Development Center helps students with their professional development – creating résumés, writing cover letters, gaining interview skills, conducting searches for jobs, co-ops, internships, and other opportunities. What advice do you have for students to help them find their career path? Get started during your freshman year. Research shows that 80 percent of hires are the result of networking, which means it is critical for students to establish relationships with employers early. Moreover, many companies now require graduates to have one, or sometimes two, internships to be eligible for even entry level positions. Ideally, students will land their first internship the summer between their freshman and sophomore year. What advice would you give students to help them prepare for getting a job? The first step is to prepare a killer résumé, one that will be read. An applicant has 6-10 seconds to impress the employer with their résumé. Keep in mind that employers see several hundred applicants for a single position. They don’t have time to read each résumé from start to finish. Thus, if employers don’t spot desired skills and abilities in 10 seconds, they will move on. Students need to develop a tailored résumé, convincingly outlining their passion, strengths, skills, and experience. It must explain how they will add value to the company. Our program helps students develop such a résumé. How many companies visit Voiland College looking to recruit students? 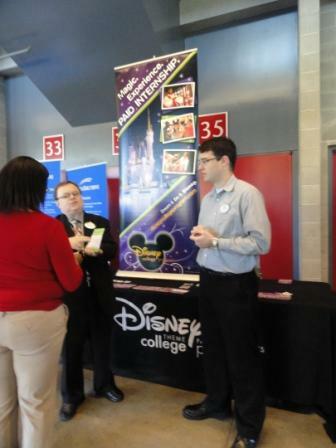 Disney is one of the many companies that has attended WSU’s Career Expo. Twice a year, more than 200 companies arrive in Pullman to attend the WSU Career Expo and Technical Fair to recruit students from all majors for nationwide job and internship opportunities. Some of these companies include Amazon, Avista, Boeing, Blue Origin, BP, Air Force, Navy, Army Corps of Engineers, Clearwater Paper, Coughlin-Porter-Lundeen, Electroimpact, Expedia, Fluke, Google, HP, Intel, McKinstry, Microsoft, PACCAR, Pacific Northwest National Labs, Red Built, Schweitzer Engineering Laboratories, SpaceX, and Walt Disney Company, to name just a few. Are there many internship/job opportunities available during the school year? Yes! Voiland College offers a work-based learning program in which students work full-time at an internship or “co-op” away from their primary campus for one or more alternating semesters, or continuously for up to 12 months, while maintaining their full-time student status at WSU. Students enrolled in the program can take advantage of financial aid and scholarships, if needed, while working away from campus. Furthermore, income earned by students enrolled in the program does not count toward their Expected Family Contribution (EFC) on the Free Application for Federal Student Aid (FAFSA). Students accepted into the program are enrolled in two credits of ENGR 488 during the work term and one credit of ENGR 489 upon returning to school. These three credits allow students to use their work-based learning experience to fulfill one technical elective requirement in the major. Give your career a kick-start at WSU’s Career Expo and VCEA Technical Fair, October 2, at Beasley Coliseum.